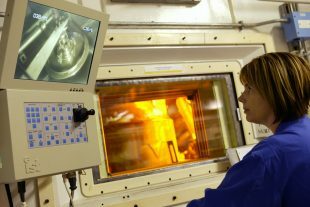 We have more than 50 years’ experience in reprocessing spent nuclear fuel at Sellafield. My teams are responsible for taking spent fuel and reprocessing it. In simple terms, we separate out the reusable uranium (96%) and plutonium (1%) from the high level waste (3%), allowing 97% of the used fuel to be recycled. The uranium is then made available to customers who can manufacture new fuel from it. Sellafield’s Thermal Oxide Reprocessing Plant (THORP) began reprocessing operations more than 20 years ago. THORP reprocesses the oxide fuels from EDF’s power stations and overseas customers. The decision was taken in 2012 to close THORP in 2018, once reprocessing of the current contracts is complete. It would have taken billions of pounds to upgrade THORP and its support plants to allow it to continue running beyond 2018. This was not a viable option. Instead, funding will be directed towards work to decommission and remediate the site. Once the plant stops operating, it will enter into a Post Operations Clean Out phase. This is the stage of the plant's life prior to dismantling and decommissioning, where the remaining radioactive and non-radioactive materials are removed. Not all of THORP will close in 2018. The receipt and storage pond will continue to receive and store the fuel from the UK’s operational reactors for many years to come. 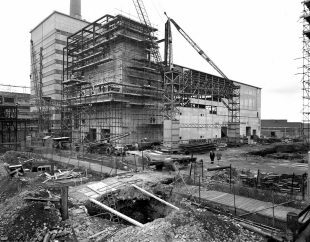 The Magnox Reprocessing Plant began reprocessing fuel from Britain’s early nuclear reactors in 1964. It is scheduled to complete its operations in 2020 once all of the Magnox fuel has been reprocessed. The closure is scheduled to follow the defueling of the final Magnox station, Calder Hall, in 2019. This will mark the completion of a complex, logistical and procedural process, as outlined in the Magnox Operating Programme. Like THORP, Magnox reprocessing relies on the availability of a number of ageing plants and support services across Sellafield. Reprocessing operations produce a series of products, which will be placed in interim storage until further decisions are made on the disposal or reuse of these materials. The conclusion of reprocessing also benefits the environment and complies with the UK Strategy for Radioactive Discharges. We would like to hear if you have views on our work to decommission 17 nuclear sites across the UK. Is UK plc yet again about to throw away its knowledge and experience in the nuclear industry THAT WE INVENTED? The Japanese have a backlog of fuel post fukushima. Can we not do a deal and keep a money spinner going? Great safety record, I hope the money you charge other countries for dealing with their waste comes back into the UK nuclear industry and not to gov.coffers. And provide as much help to companies whom have had accidents. Expertise helps the whole industry. well, I invented the propagation and control of the autonomous robots for the storage of the Uranium trioxide in the stainless steel drums, and was a key member of the team on the design of the system operating in the Thorp building. 1992 to 1995. Please let me know if the the three robots are still in use, and if the system as a whole will be used in the future control of nuclear waste storage. The World was a Great place .....Once Upon ??? Where will the UK spent fuel be processed after the closure? There will be no further reprocessing of spent nuclear fuel in the UK after the closure of the Magnox Reprocessing Plant in 2020. This reply has not answered the question- where will any remaining fuel be reprocessed? If there will be no remaining fuel from existing operating UK reactors can you please confirm this fact. 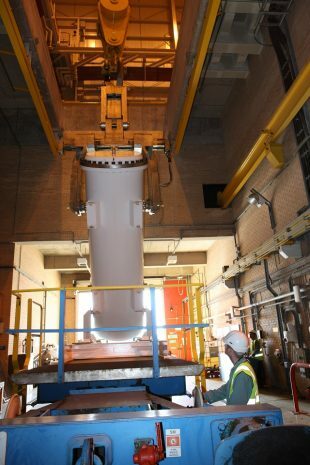 After the end of reprocessing at Thorp, the only fuel being reprocessed at Sellafield will be Magnox fuel at the Magnox reprocessing plant - set to close in 2020. A section of the Thorp plant, known as Thorp Receipt and Storage, (which includes the storage ponds) will remain operational until the 2070s. It will be used to store the remaining spent fuel from the UK’s advanced gas-cooled reactor fleet, prior to geological disposal. Why wont there be a UK based fuel reprocessing plant? Such a waste of current skill sets and a good business. Thanks you for your question Philip. Please see response to similar question last year.